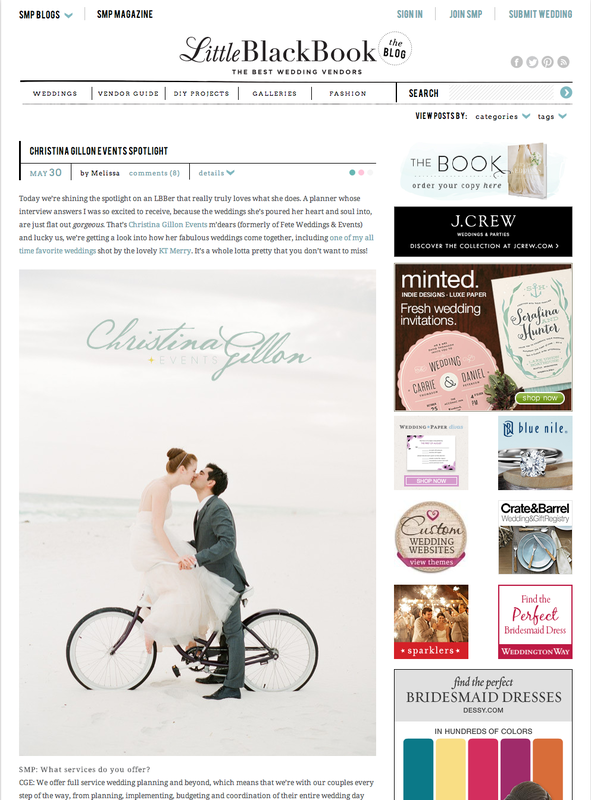 It isn’t all the time that I wake up bouncing off the walls in excitement (alright, it’s normally never, until the coffee kicks in) But today was a different story because I woke up to the news that Christina Gillon Events is being featured on Style Me Pretty today!! I have been in love with SMP for the longest time and when our weddings are up on their blog, it’s squeal worthy (you can see our featured weddings Katie + Justin, Tiffany + Jason and Christine + Mike). So to have the girls at SMP feature CGE is a true honor and we are so very thankful!